● Navigate through the content slider on the site’s homepage to view some deals offered on some tile categories or brands at the online store. ● Scroll down the page to view Walls & Floors’ bestselling tiles and get savings of up to 60%. Samples may be ordered through a link found under each product. A free brochure may also be requested for some style inspiration. ● Customers can also get significant savings at the clearance tiles section. Alternatively, they can check out the special offers page for great steals on featured tile selections. ● Pallet deals also offer an average of 30-65% savings on tile purchases. ● The online store offers free standard 2-3 day delivery to the UK mainland for orders over £125. Walls and Floors is a tile dealer that offers a wide range of tiles for both the walls and floors. There is a special 20% off tab in red on the top of the homepage that navigates users to all of the tiles that have been reduced by 20%. There is a tab that users can click on to navigate to ideas, the “inspiration” tab links to a gallery of ideas. There is a “quick tile search” box where visitors can use keywords to find specific types of tiles. This UK based business offers a “price beat” guarantee. 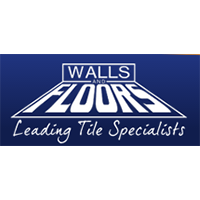 For most up to date offers check out Walls And Floors on Facebook and Twitter or contact Walls And Floors Support for any questions.